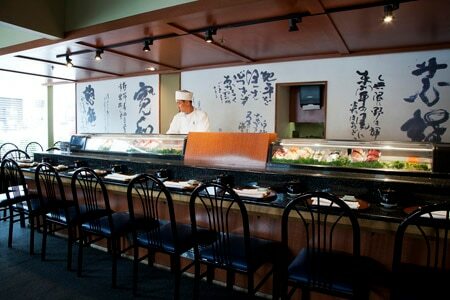 Bustling sushi bar scene with ocean-fresh fish and no gimmicks. : Shiro Kashiba was a pioneer in the Seattle sushi scene, and although he isn't here anymore, this restaurant is his legacy. Fans of the straightforward, traditional sushi he promoted still flock to Shiro’s. Although the space is rather plain, the mood is usually lively, and from the first bite, the food commands your undivided attention. Seafood is local, whenever possible, and supremely fresh. Let the chefs create your meal, or perhaps choose the oysters, each sparingly topped with grated daikon, a drop of ponzu and a whisper of chili. There's also a salad with raw salmon, octopus, crab, seaweed and crunchy cucumbers dressed with ponzu and sesame seeds. If you prefer fish, consider the kasuzuke, a broiled, buttery-rich Alaskan black cod marinated in miso and saké. Wine, beer, cocktails and saké are available from the full bar.